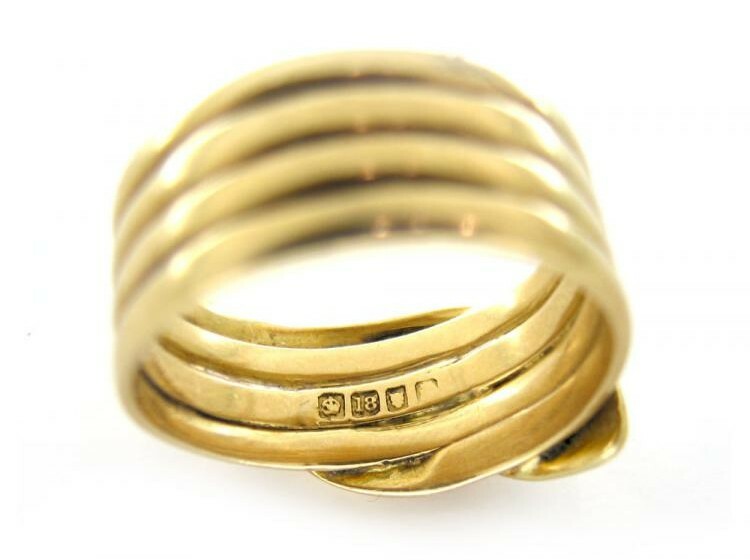 A good, heavy example of a Victorian coiled snake ring. 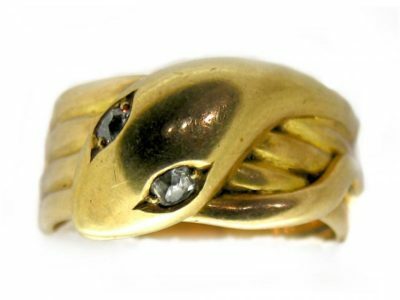 The coiled snake with old mine-cut diamonds as eyes represents eternal love. 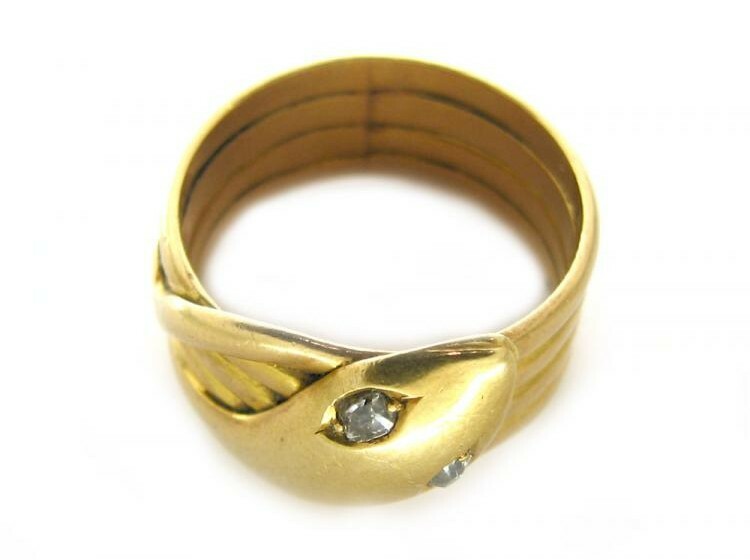 Sentimental jewellery such as this was very popular in Victorian times and this ring would have been presented to a sweetheart.